Today was the last day of the Northport Farmer’s Market. 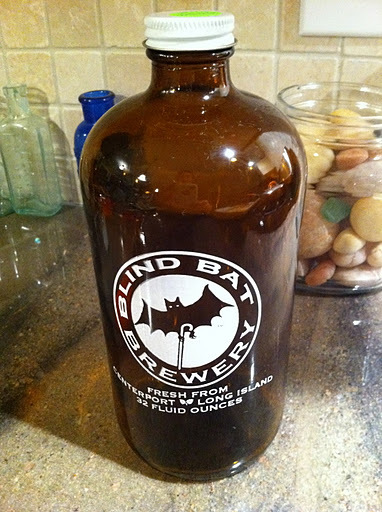 The beer guy from The Blind Bat Brewery was there with his signature Long Island Pale Ale. With 32oz growler of beer, my first thought: beer batter onion rings. I made up this recipe as I went along and it came out great! 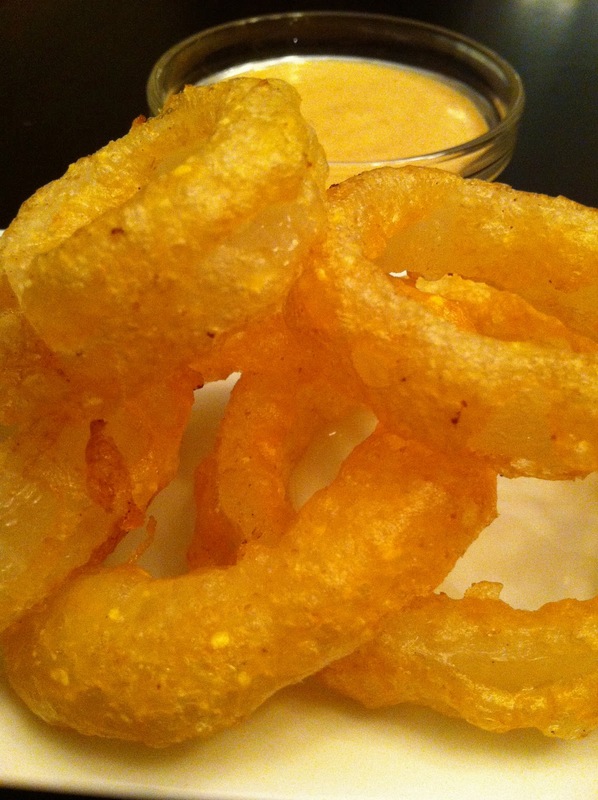 Key to crispy onion rings: hot oil and no overcrowding. The dipping sauce, while reminiscent of the spicy aioli at Candle 79, is not in the new (amazing) cookbook, so I made it up myself. Slice the onions into thick rings. Drop the rings into a bowl with the rice milk. Only use the big and medium size rings. Save the rest for something else. Make the flax eggs and let them sit for few minutes so they get thick. Set up a tray lined with paper towels for draining. Mix the dry ingredients (flour, cornmeal, sugar, baking powder, salt) and then add the wet ingredients (flax eggs and beer) and whisk together well. Pour oil into a deep pot and heat up. Dredge the onion rings into the batter and drop into the oil. It will take 1 minute or so to get crispy. Turn them over and then take them out and let them drain on the paper towels. To make the aioli, mix all of the ingredients together. Taste and adjust. Serve with the rest of the cold beer and enjoy!